← Francois and her three boys have their own home! 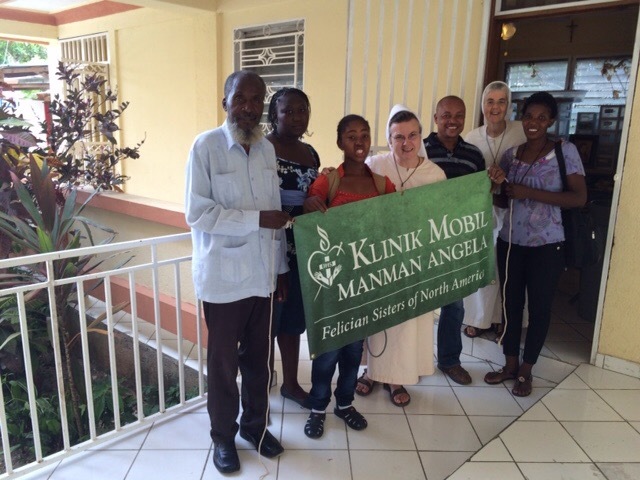 On Tuesday, July 14, the Mother Angela Clinic team left for a four-day journey to the mountains of Haiti to bring medical aid to the poor. It takes four crueling hours to climb the very steep rocky mountain. The people from the area come down to meet the team and to help carry up all the medications and other medical items. The team will provide two full days of clinic for the people of St. Etienne’s, which is located on the top of a mountain. People there do not have access to medical care and medication. Please keep our clinic team in your prayers. 🙏 We could not go with them this time because of other activities here in the mission, but we know Mother Mary Angela’s spirit is with them.